What we offer: Free supportive consultancy in the planning and pre tender stages of your project. Assist with advice on products, feasibility, legislations and building regulations. Qualified and experienced installers. P C Henderson is a global leader in the design and manufacture of hardware systems for sliding and folding doors. We have been creating the highest quality products for over 90 years which can be seen in a wide variety of residential, commercial and industrial applications across the world. Our expertly designed hardware systems are perfect for saving space, increasing natural light, creating flexible spaces and providing hard wearing solutions for virtually any type of application. Applications include wardrobe & cupboard doors, pocket doors, exterior doors, room dividers, office partitions, large heavy duty applications as well as bespoke systems. Hey! We're Leader Stores. We are the UK's leading Home & Garden Superstore, offering thousands of products to help you transform your house into a home. We specialise in Internal Doors, External Doors, Laminate Flooring, High Gloss Flooring, Real Wood Flooring, Rugs, Rattan Garden Furniture, Home Furniture, Lighting, DIY Products & much more. With Next Day Delivery, 12 Months 0% Finance, A Beat Any Price Promise & 5 Star Reviews on Trustpilot, you have no excuse to not create your dream home. Call us today on 01429 241 270 and speak to our dedicated product experts. 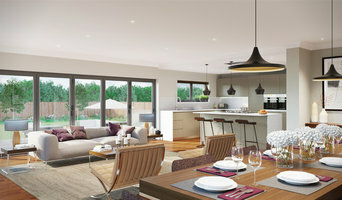 Creating the perfect home is all about choosing the perfect balance of style, aesthetics, function and value. The investment you make in both time and money should never be compromised. At WarmCore homes we understand this, that’s why we ensure every aspect of our service is tailored to you. Our products are suitable for a range of different projects, whether you are updating an existing property or building from scratch. The questions you need answering will vary depending on your circumstances, and there may be even be questions you haven’t considered yet. Simply choose your project type below, and we will guide you through the details that are relevant to you. 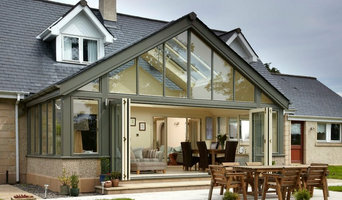 Active Windows & Doors aim to provide the highest quality double glazed windows, doors and conservatories. We regularly work throughout Washington and the surrounding areas in Tyne and Wear. Utilising a team with over 25 years experience in the industry, you’ll be in safe hands when you choose Active Windows & Doors. Our Newcastle Locksmith engineers provide a comprehensive range of locksmith services for both domestic and commercial clients. As well as our Newcastle Locksmith team, we’ve got Sunderland Locksmiths and Durham Locksmiths to attend all call outs across the North East. We aim to be with you within half an hour and are available for emergencies 24 hours a day, 7 days a week. All call outs are free and you only pay if we solve your problems. Providing Double Glazing, Composite Doors, Conservatories, Solar Panels & Other Home Improvements To The North East. The North East's leading composite door manufacturer. We install in all Northumberland, Tyneside, Wearside and Teeside areas including Newcastle, Gateshead, Sunderland, Durham, Middlesbrough and Darlington. Affordable Home Security Solutions for the Home Owner, over 58,000 homes secured. Official Ultion Key Centre. 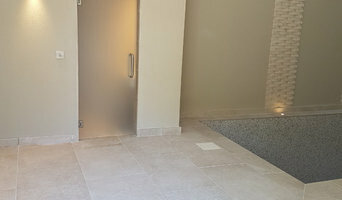 If looking at all the different styles, materials, types and sizes of doors makes you feel like you’re lost in a labyrinth of locked doors, then don’t despair; Newcastle upon Tyne, Tyne & Wear door manufacturers and door suppliers are available on Houzz to help design, build and install all sorts of doors. 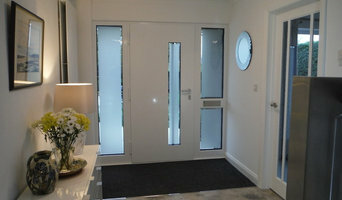 You can find photos of their previous work, reviews, recommendations and ratings from clients, and contact information so you can speak directly to any Newcastle upon Tyne door makers you find that you think can help with your project. You might find that your door suppliers or manufacturers can help with your window frames, garage doors or other contractor work, or they may be able to put you in touch with other professionals they work with regularly. Here are some related professionals and vendors to complement the work of doors: Cladding & Exterior Contractors, Garage Doors, Home Builders, Design & Build, Artists & Artisans. For external doors, it’s usually advisable to go for something durable and insulated. Composite door manufacturers in Newcastle upon Tyne, Tyne & Wear will make doors from a number of materials, usually wood inside and a more protective outer layer, so they are versatile and well suited to being used as back or front doors. You can choose from stable doors, panel doors, half-glazed doors or doors with intricate stained glass panels, in all sorts of colours and stains, and, if well-fitted, your composite door will still stand up to any weather. It’s always advisable to talk to your local Newcastle upon Tyne, Tyne & Wear door suppliers about the different materials, styles and types of doors on offer so they can tell you in more detail the advantages and suitability of all the doors you’re looking at. Door manufacturers can help with more than just your front door and internal doors - if you have a garden, there are a number of options for accessing it. Large glass doors can be really dramatic and bi-fold doors are a popular choice at the moment because they can completely disappear and open up a room to the outside. If you don’t quite have the budget to install bifold doors, patio doors or french doors can still bring in lots of light from your garden into your home. 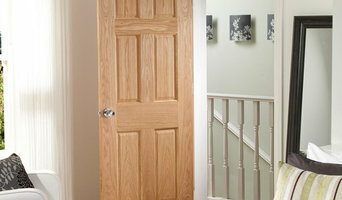 Talk to Newcastle upon Tyne, Tyne & Wear door makers about what they think could work for your home renovation project. Why should I hire Newcastle upon Tyne, Tyne & Wear door manufacturers or specialists? Find door suppliers and makers on Houzz. Look in the Professionals section of our website and search for Newcastle upon Tyne, Tyne & Wear door manufacturers and suppliers. Read reviews, look at project photos and see how a door professional can help your Newcastle upon Tyne, Tyne & Wear home improvement project.